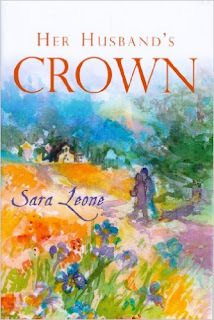 Some time ago, Barbara from Stray Thoughts sent me her copy of Her Husband's Crown , by Sara Leone. Here's what happened - I slipped it up on my bookshelf and then forgot it. It was easy to forget because it's more a pamphlet than a book and it slid easily between two other books and out of sight altogether. I was moving books around the other day and out it popped! My extreme apologies, Barbara! I decided that enough time had gone by since receiving it, it was a short enough read, and I ought to sit down and tackle it already. So that is exactly what I did this past week. 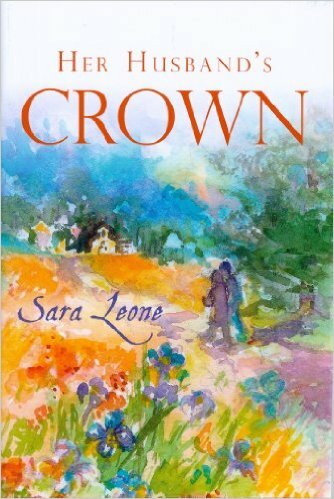 Her Husband's Crown was written by a pastor's wife and specifically for pastor's wives. As Barbara pointed out, and I agree, Leone offers general principles which can be applied to wives liberally across the board. Treating one's husband well is not something that only pastor's wives must learn to do. We're all subject to the judgment and it's a good idea to think about our own behaviors and how they are helping - or hurting - our husbands. I thought, generally speaking, Leone attempted to offer very practical advice. She encourages and reminds women of their roles to support their husbands in their work, through both prayer and practical means. Her best piece of advice (in my opinion and as applied specifically to me) is to be a good listener. Women are most definitely known for talking but the verdict is out on how well they listen. Some do this better than others but it's good to ask yourself if your ears are open to hearing what your husband is saying so that you will know when he is discouraged or tired or extremely happy. Listening definitely factors in to one's ability to weep with those who weep and rejoice with those who rejoice and so I think we can agree that it's a good habit to get into. (Do note that I am by no means saying that I'm a saint in this area. You'll recall I mentioned that I found this to be good advice and an admonition!) Leone's advice about listening was probably my biggest takeaway from the book. If my pastor's wife were to make good friends with another woman from our church and clearly enjoyed spending time with that person, I would be incredibly happy and satisfied on her behalf. I wouldn't care that it's not me. I would rejoice for her in finding such a friend. Leone suggests taking care about being seen in public with just one person repeatedly or too frequently and the need to perhaps settle for phone conversations instead of in person gathers so as to avoid jealousy issues in case you are spotted. (What?) Although I do understand her point, I disagree. I knew even at a younger age and I most certainly know now what type of friendship I had and how I felt when the need was expressed to diversify for the sole purpose of not making others upset. I think a close friendship is a huge gift from the Lord and I wish that sort of friendship for everyone and do not begrudge a single person for the joy of such a relationship. Might I suggest that perhaps the better lesson is for members of the church? Perhaps it is us that need to grow up a little and allow people to make special friends with others. If we're upset about not having any close friends of our own, perhaps we should be asking ourselves what is preventing such a friendship. I suspect the matter to be internal and not external most of the time. Let any woman who is so blessed to have a loyal friend keep them. Don't resent; bless!! I am all for being polite when in the company of others and being as inclusive as humanely possible. At the same time, I know the strength and beauty which is derived from having that close friend who comes along side you and cares for you and your feelings no matter who, no matter what. Reading a pastor's wife instructing other pastor's wives to take care not to make too close of friend within the congregation she is placed it makes me want to cry. I feel a very strong need to give grace in this area. Grace, people. Grace! Why make a pastor and his family feel more lonely than they probably do anyway? No one can quite identify with their struggles and no one carries the load of so many people on their shoulders. Allow them their safe place to relax, laugh, and be loved. Obviously that little bit of the book struck a nerve with me and created a nice long blog post. On the whole, I have to admit that I didn't find this book terribly useful to me personally (aside from the bit about becoming a better listener). She does have some good advice to pass along and I wouldn't want to dissuade anyone from it who might greatly benefit. There are certainly nuggets of truth to dig out and insights into the life of a pastor's wife which are good to contemplate! I can't give this a glowing review but I do realize that there are some out there who might find this little book particularly useful. I wouldn't wish to discourage anyone away from it. If you think you'd like it, pick it up! Like I mentioned, it's a very quick and easy read. Many thanks to Barbara who send the book my way for a read. I appreciate that she would want to invest in me from a distance by wanting to send this. These are the kindest little gifts to receive when you can't have a face-to-face conversation. An exchange of ideas through books is rather a pleasant way to learn, in my opinion! Thank you, Barbara! I had forgotten all about it. :-) I had heard that advice about a pastor and wife not having close friends from within the congregation from several sources before reading this, so it wasn't new to me, and, considering the multiple sources, it must have been a problem for some. I agree we should give them grace and be grown up about the fact that they might socialize more with some than with others...but obviously not everyone is. The only serious problem I have seen with it personally was from a different tack - one lady in one church we were in used to kind of brag about being close to the pastor's wife in subtle ways. She had some serious emotional issues and took any gentle suggestion as a knife wound, so I don't think anyone ever said anything to her - we just considered the source (and I have to admit I rolled my eyes, figuratively, when she would say things like that). The only time I have really had a problem with it was when a youth pastor used to take 2 or 3 kids to do special things - skiing, camping, etc. His theory was that Jesus had 12 disciples but 3 whom He spent more time with and trained more intensely, and I can see that...but, come on, skiing trips? :-) Since teens are even less mature and more vulnerable to feeling left out, I would rather he rotated spending time doing fun things with different small groups than with the same few, or, if it was truly a training/discipling thing, quietly have those few over for dinner and Bible study rather than these multiple fun activities that the other kids will talk about (and these days shows pictures of online). I think in every church I have been in, the pastor and his wife had some they were obviously close to, and I don't think it was a problem in general. I don't think the relationships ever came across that they were more special to them that anyone else - they were always kind and sociable with everyone. But I don't see how they can help having some people they mesh with more than others. And I would say to anyone feeling like they don't have enough time with or aren't as close to their pastor and wife as they would like -- invite them over! Very good points here. Having a very good friend who is a pastor's wife is a tremendous blessing to me. And I believe the same is true for her, especially when they walked through some incredibly lonely times. Yes, she had to do her best to be friendly toward many. It is sad indeed to think they should be robbed of the deep friendships necessary to navigate life just so they don't offend people. This hurts both people. I have another friend who was very hurt by a pastor's wife who invested a year in her life and developed a close friendship, and then moved on to the next new woman in the church. I'll affirm the point about listening to your husband.....sound advice, indeed! I haven't read this book, but my cousin loved it, and being a preacher's daughter it's something I'm obviously curious about. I have to say, my family has been blessed in our church, so that my mother and I both have close personal friends (not to point of extreme exclusivity) and you're right, it's very invaluable. Perhaps, Leone was just trying to warn pastor's wives of the dangers and pitfalls? Especially if one was to carrying a friendship to a very exclusive level, leaving out their duties to other women in the church? Like I said, i haven't read it, but I have certainly seen firsthand how some people will jump on anything to make a fuss over, and it sounds like Leone has too. Your post gives me a greater appreciation for the preachers' wives at our congregation. I know they have a great deal of struggles that most of us don't have to worry about, but I've never even thought about them having to be careful with their friendships. That makes me sad for them.